We have the best safari deals in compare to other Dubai companies, our prices are very low but quality is very high, we are professional in desert safari quad bike and Dubai city tour services. Get the best deal of the day, every day, get our quad bike combo deals. 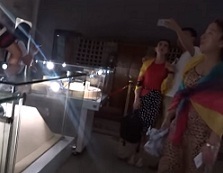 The Arab worlds sparkling, brilliant Dubai History Museum, Duai Heritage tour with guide. Upto 28 Thrilling Rides and a number of exhibitions and experiences appropriate for all ages. 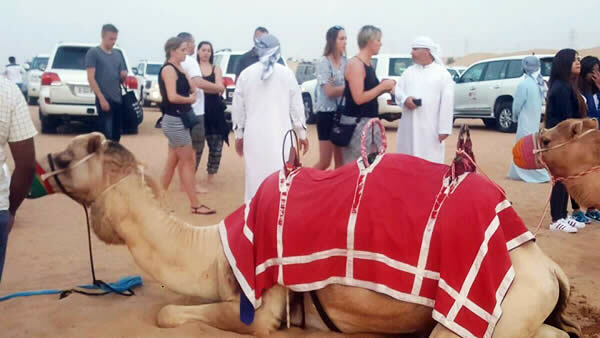 In Dubai, there is a special desert safari deals for travelers or tourists who want to explore a desert, this is very nice Arabian desert safari, We provide a safe and secure tour in desert safari ride and gives our best to make your day stunning and nostalgic. Our drivers are professional to give you a best and thrilling journey. So let us contact today and get ready for thrilling desert adventure, it is daring activity. In the end of the evening we will please you with an exotic performance by our enchanting shows. Finally, arrive at the inflation point and inflate tires for the drive back to the hotel. 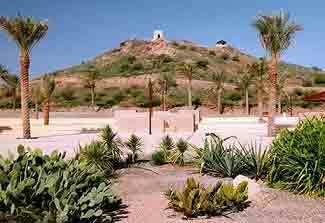 We will give you the low cost high value unique desert safari packages that truly makes your experience wonderful. Ready to explore desert safari deals in best Arabian tour, purest form? Browse our amazing packages and tour deals today! We are offering Deluxe, VIP and Standard Dubai desert safari tour deals, Also we have camel ride, quad bike, sand ski etc. You've got Dubai deals at your hands! Birthday Party, Honeymoon Couples, Eid & Holidays desert safari deals and year 2019 deals, don't be late get your deal now. Just call us and get the Deal of the day, every day we are managing some good deals for Our valuable guest. Welcome to Dubai for very amazing thrill tour in the brown, golden and red dunes city. 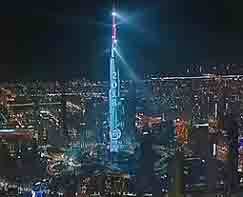 Last year we have given many deals now again Dubai and Sharjah deals, Just call away. Pick up from Home or Famous Standard Locations in Dubai & Sharjah. We also have Abu Dhabi desert safari deals and Dubai tour deals, we will pick & drop in Abu Dhabi or Sharjah or Dubai after your desert safari and Dubai tour. Your Dubai tour will never be complete without a daring activity, get the best safari adventure, get the best deal from Arabian night safari company, we have very low price high quality desert safari services every day. Enjoy sight and sound of desert with us and make your night memorable. An evening & overnight desert safari Dubai trip begins just before sunset. We pick you from your place whether it is hotel or your home. We provide you a pick and drop facility. Once you arrive at desert, you can enjoy sand boarding. Our helper will guide you about sand boarding and during dune bashing driver stop car at desert hill to enjoy a drive of 4 x 4 in desert and you can take photos. We design each dune bashing tour with a land cruiser which is full role cage, bucket seats and a full safety features to give you a comfort feel and save journey. We also offer a camel riding with a mesmerizing sight of sunset. A sunset will lead you towards your camp. At camp you will enjoy awesome Arabian traditions and some other activities which help to make your evening joyful. Nature looks good in desert, star night look awesome. Pick and drop from your desired location, Our deluxe Desert deals that costs only AED 110 AED per person is Best desert deal. Yet there are several different types of deals, and bizarrely, the best savings rates are now on for everyone. You are VIP guest for us, we serve you best every time. One of the most popular desert safaris in Dubai is evening safari deal – It is unique, exhilarating and one of a beautiful experience, tourist and residents alike love desert safari. In our all desert safari deals, our goal is simple to give everyone the opportunity to experience desert safari Dubai for themselves by providing the best lowest prices and the good quality desert safari Dubai experience in evening deals. Evening Desert safari is a unique and adventurous trip, memories you will always remember..
Overnight Desert Safari Dubai, In UAE best places to visit for safari is Aweer & Kalba. 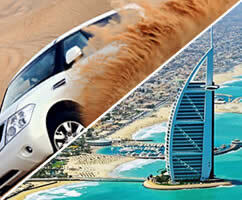 Desert Deals Dubai has always been committed towards bringing the adventurous side of Dubai. Experience both the historical along with the modern structures, visit sky high Dubai malls, tourist places, Dubai beach luxury hotels. Abu Dhabi city tour, get our luxury car pick and drop for your Abu Dhabi tour, Grand mosque visit, Ferrari world visit..
We give you the most comfortable, luxurious, and entertaining adventure of dune bashing by 4 x4 at the best prices! Enjoy the golden sands with Quad bike, with camel ride, and desert safari. Get ready for summer desert tour ? Our famous desert safari deals starting @40 AED Per person, we are passionate about UAE and all its stats, we have many options for guest! That is why we are selling tour deals in Dubai, Sharjah, Ajman and Abu Dhabi awaiting you such as Dubai City tour deal, Abu Dhabi City tour deal, Dubai Mountain Safari deals, Jet Ski Tour deal, Dubai exclusive tour deal and desert safari deal etc. If you’re in Dubai, Sharjah or Abu Dhabi and are looking for affordable deals that offer the most high quality experience, you can trust us to deliver the best tour, Desert safari deals & Dubai attractions packages. 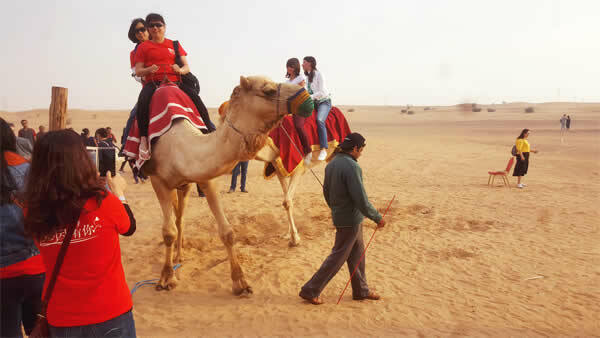 Desert safari is the most famous Dubai tourist activity in the world. 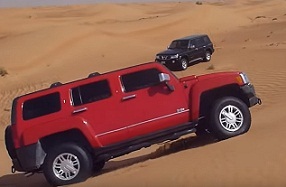 In Dubai many tourism companies and corporations which offers desert safari but if you're looking for a best desert safari with low price and high quality services, so you are at right place book with us your journey and grab a highly significant desert safari with a package of your desire range and get ready for a road less fun. A desert safari deals offers daily safari and weekly safari deals with complementary pick & drop, dune bashing and camel ride. It goes without saying that in today's world, desert safari Dubai has become the leading tourist attraction throughout the Middle Eastern region, thanks to its abundant supply of attractions and things to do. Our desert safari deals have good attractions for tourist because in very nominal charges we are providing real adventure desert tour, lot of entertainment and many free benefits. Apart from its sky high architectural wonders, Dubai also offers exhilarating desert safari experience. Discover the new best Dubai Safari deals every day in UAE, Dubai, Sharjah , Just Whatsapp or Call for booking +971 52 5426466 , Daily we are offering great deals for desert safari Dubai. We also have morning desert safari, evening desert safari, and overnight desert safari deals. Our business was founded with the aim of helping travelers to experience all that this country has to offer in a meaningful, enriching and exciting way. As a leading travel service provider based in Dubai, holiday trips with desert safari deals give you a rich cultural experiences that you will never forget. Welcome to the golden dunes of Dubai. 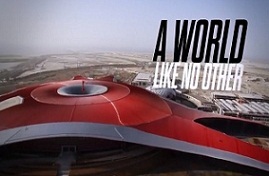 A real exciting and an adventure of thrilling ride is awaiting you here. So boost your day with dune bashing adventure and maximize your 4 x 4 crazy driving experience with our experts driver and trainer. 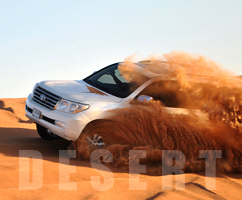 We have a specialized range of modified vehicles which are exclusively designed for red dunes of Dubai desert safari. 4 x 4 Ride in Dubai, get the best desert safari Dubai deals this is unique and famous adventure, We organize desert safari tour by 4 x 4 for one or more days to the oasis of Dubai in the region for individuals or groups, our service is personalized, highly professional, reliable, responsible, while competitive in price and quality we have many deals and offers at reasonable price. 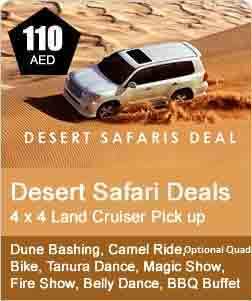 Desert safari Dubai to the dunes by 4 x 4 Land Cruiser ride, one of the best for addventure and fun. We will pick you and drop you at your door step, or we can pick & drop at you from our meeting points in Sharjah like Sahara Center, Rolla , Sharjah City Center, National paints etc. 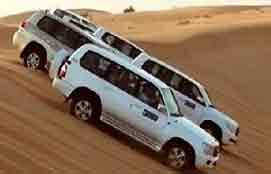 we will not charge extra for desert safari Sharjah deals it will be same like Dubai offers. Our focus is good services for every one either Dubai or Sharjah residence, you will enjoy the great Adventure with us, plus continental dishes, and shows in our camp. 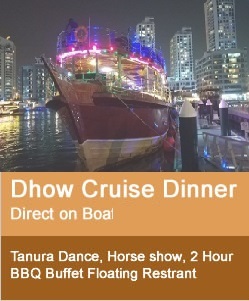 You can also contact us for Dhow cruise dinner best deals. We Strictly follow the policy for Quality and professionalism, all around Dubai you will not get best desert safari deals like us. we are pioneer in this field, we are professional in our services and best quality tour operator, Dubai to Sharjah Thousands of people knows about us, they are fully satisfied..
We have best deals for Dune buggy safari for individuals for groups for companies, call us for best Dune Buggy and Quad bike Deals at reasonable prices Call us: 0525426466. 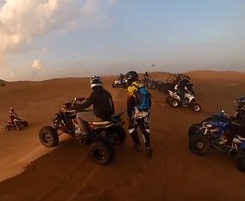 Dune bashing is the most enjoyable part of a desert tours Dubai. Enjoy cruising along with off-road. 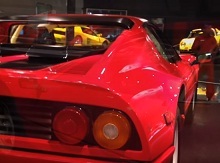 It is highly pleasurable experience and the Adrenaline rush it gives just cannot be explained in words. Sitting comfortably in a fully equipped and highly comfortable 4 x 4 or a SUV, bashing across those sand dunes and having highly skilled professional drivers, performing some of the most crazy stunts makes it a perfect off-road experience. We also have Dhow cruise dinner deals, Dubai city tour deals, Abu Dhabi Ctiy tour deals, Hatta mountains tour deals, Desert safari deals. We have many more pickup locations in Dubai & Sharjah, just call us and discuss your nearest point. 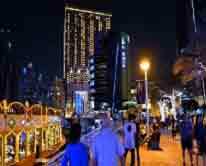 We also have marina Dhow Cruise Dinner & Creek side Dhow Cruise Dubai dinner, floating cruise to enjoy the amenity of the modern lifestyle of the Dubai. marina dhow cruise dinner is perfect match services that are being offered in buffet style. Whenever you will go for the dhow cruise dinner, you will have a reserve seat to enjoy the food, Entertainment shows will be there, you will enjoy to see Dubai sky high buildings and lights of Dubai by sea side. Sand boarding in desert safari Dubai should be worthless if you don't taste a thrilling ride of sand boarding, we are specialize in range of sand boarding. So hurry up! call us today and book our special sand boarding deals of desert safari. The most ideal approach to spend your evening is to go for Desert Safari in Dubai being an action which everybody adores the most. It is one run of the mill visit the most guests would look for first and inhabitants in Dubai would have numerous encounters with this.